There will be no train trip. No discount tickets are available with Euston closed over Easter. 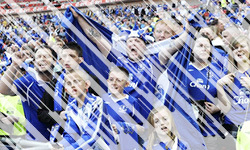 Match tickets will on sale to EFC members on Wednesday, 20th March (apply direct to EFC, not ESCLA of course).